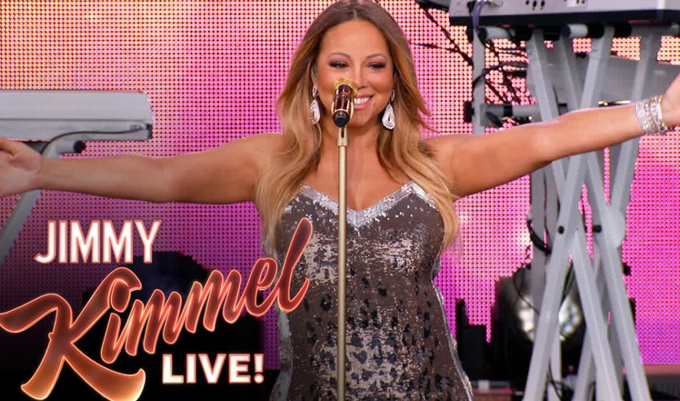 Mariah Carey takes the stage at Jimmy Kimmel Live! to give an outdoor concert on Monday (May 18) in Los Angeles. The award-winning singer sang “Vision of Love” and new single “Infinity” to the packed crowd before heading inside to give an interview, where she talked about having bronchitis. She also chatted with Jimmy Kimmel about her number one hits and not wanting to top the Beatles’ records.